Diana Prince may well be Princess Diana of Themyscira, however she now has a completely new crown to add to her regal collection. Wonder Woman was one of the most striking and beloved films of 2017, and has officially become the highest-grossing superhero origin film ever made. Yep. Movie lovers turned up in droves to follow the adventures of the immortal Amazonian warrior princess, and the figures don’t lie. Updated international receipts pushed box office totals to a sky-soaring $821.74 million. Wonder Woman has now dethroned 2002’s Spider-Man from its web, squishing the film’s record holding $821.70 million box office. Wonder Woman is noted for having set some very impressive box office records. Praised for its positive portrayal of a strong female lead, Wonder Woman didn’t just talk the talk. The superhero movie became the highest-grossing female directed film as well as the biggest domestic opening for a film directed by a woman. However, Gal Gadot’s strong yet compassionate portrayal of the superhuman goddess has clearly struck a chord with many viewers across the world, regardless of gender. Even household superhero names such as Batman, Superman, Captain America and Ironman could not defeat the box office reign of the formidable clay-sculpted warrior. This thing [Wonder Woman] is a juggernaut, and shows no sign of slowing down on a franchise level. 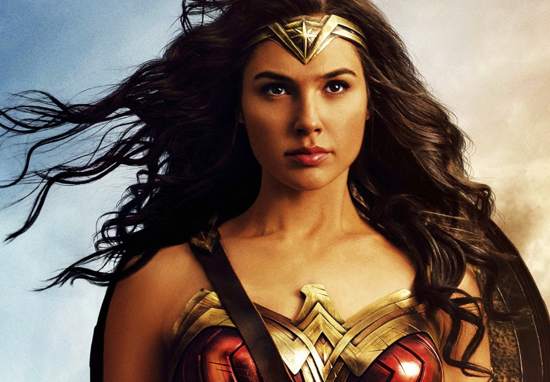 Wonder Woman is easily the best thing going for Warner Bros.
Hopefully, this finally opens the eyes to filmmakers (and toymakers) that ladies have every right to star front-and-center in their own films and franchises, and when they do, they can outperform even the most famous fictional men in history. Movie-goers aside, critics also loved the Patty Jenkins directed film, which could now very well be in with a chance of winning an Oscar. Indeed, Warner Bros. are currently pushing for Best Picture and Best Director, which is a ground-breaking move for the genre with the potential to really shake up the Academy Awards night. If this came to be, this would not only be the first Best Picture nomination, but also the first Best Director nomination for a comic book film. Widely regarded as being one of the most critically revered movies of the superhero genre, Wonder Woman could well be in with a real shot. I feel like Diana is really accessible. It’s very easy to relate to her. She has the heart of a human so she can be emotional; she’s curious, she’s compassionate, she loves people. And then she has the powers of a goddess. I want to be her. And in Wonder Woman, she has this naivety in her. It isn’t stupid, it’s magical. Wonder Woman 2 is scheduled for release December 13, 2019. We are expecting great, great things… No pressure.